The Reflex is a brand new kite in the Takoon line-up and is targetted as a one for all kite for freeriding, waves and unhooked freestyle. 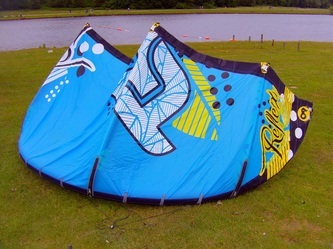 It's a four strut kite with a very large central section for maximising power output, and Takoon have clearly gone the extra mile when reinforcing the kite on all LE seams and one pump connectors. 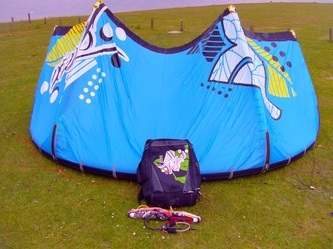 Even the inflate and deflate valves come with full neoprene cosys - it seems this kite was built with rider progression in mind and kite strength and durabilty has been chosen over minimisation of weight. The Bar is a very familiar affair when compared to previous Takoon kites. 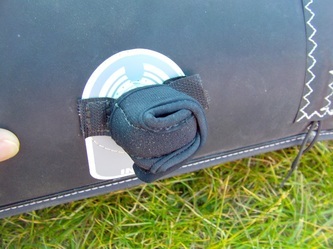 It has a very large chicken loop, with PU coated depower and safety lines; this leads up to a pull-pull clam-cleat for very easy adjustment whilst riding. The alloy bar has a reassuringly solid feel to it and the grip is good and diameter fairly large. 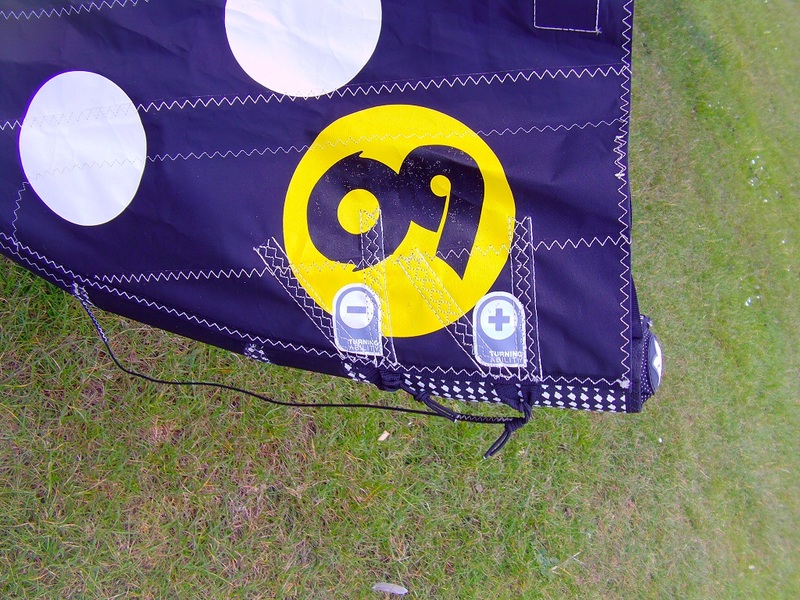 There are two settings for outside line connections to easily adjust turning speed when changing kite size. 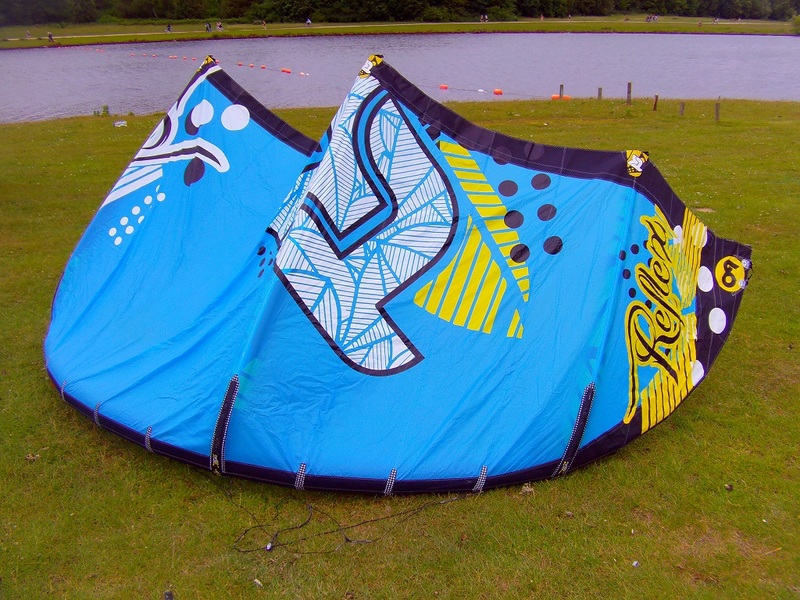 The reflex feels a very powerful kite for its size, the large central section generates a good deal of grunt, but it can be depowered progressively by sheeting the bar out. 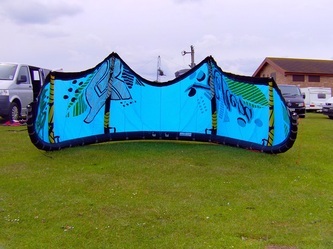 The Reflex feels solid and stable in the air, and is probably not as fast through the sky as other kites in the range such as the Furia, it also has a much weightier feel through the bar. The bar pressure is quite heavy and gets progressively stronger with increasing wind. 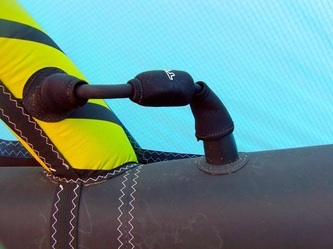 The Reflex is nimble but requires being very assertive when steering - it can turn very quickly when you want it to. The two rear line connection settings make quite a difference, and the slow turning setting is great for wakestyle, but requires all the more bar input to get it to turn. The power of the 9m Reflex gets you up and riding very early for a kite of its size, its a very easy kite to park and ride with, and it points well upwind also. The Reflex is also capable of some pretty impressive jumps, but needs to be sent backwards like a Traditional C kite to get best results. I also had a lot of fun looping the Reflex and it gives you a nice smooth pull through the turn. It doesn't quite have the swoop of a faster moving kite but it still has plenty of wang for most people, and recovers well to the top of the window for landing. The turning characteristics of the Reflex make it ideal for unhooked riding, it parks well in the air when unhooked - ignoring small bar inputs and is capable of good levels of pop. Relaunch is also very good, I actually had a hard time getting the kite to land nose down when testing in fact, as the clever leading edge shape causes it to roll over onto its side at the edge of the window, leaving it in the perfect position for getting it immediately back up in the air. The low end power and wide range of the Reflex will cause instant appeal, together with its strong construction and relaunch properties. It offers stability and predictability when trying out new moves, whether you be out in the waves, banging out some unhooked freestyle or even taking your first steps out on the water.